This evening we were finally able to share with you a project that our teams have been working so hard on with someone beyond cool. 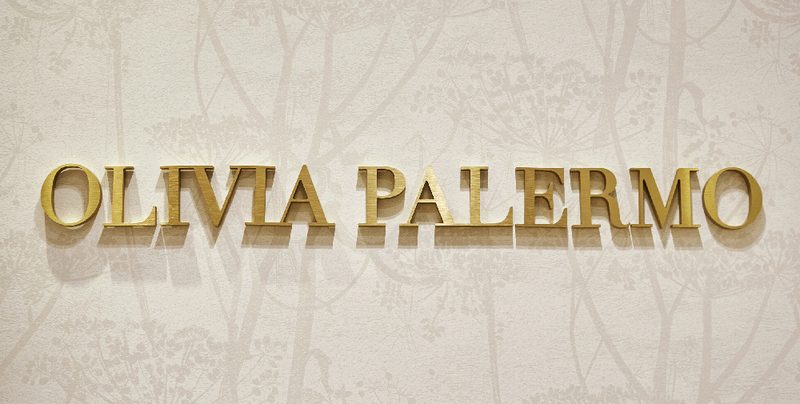 We’ve worked hand in hand with Olivia Palermo herself to develop a one-of-a-kind pop-up shop inside of our Soho Store to showcase Olivia’s great styling of Banana Republic product, mixed with some of her other favorite brands and pieces. So of course we had to celebrate with some of our best friends. At the opening of the event we had DJ Harley Newton ready for sound check, Mr. Butler (Olivia’s Maltese Terrier and fave shopping companion) cozy in his corner, all of Olivia’s favorite pieces on display (think: gorgeous jewelry by Jemma Wynne, the coolest sunglasses by Westward Leaning, and to-die-for meli melo bags to accessorize any outfit) and some delicious champagne and apps… plenty of opportunity for our friends and guests to sip, shop and get stylish (thanks again Olivia Palermo). The standout piece of the event? Our Metallic Boatneck Sweater – Olivia wore it, Zanna Rassi Roberts wore it, and I saw a lot of customers in line to buy it… goes to show, I’m not the only one thinking: I’ll have what she’s having. I’m planning to pair mine with black denim and some Chelsea Boots! 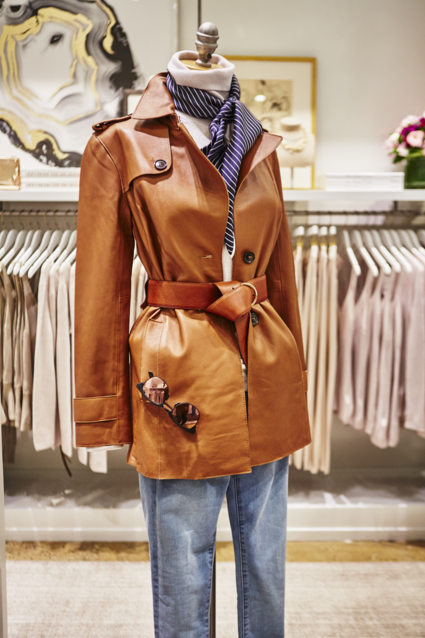 Another piece on my wishlist is our Chestnut Leather Trench as spotted on Olivia making her way into the pop-up event. Inside the luxe trench was paired down with denim for a more casual occassion. Much more my style – give me a pair of small pumps and jeans and I’ll be set for any occasion. Such a fun experience to be inspired to style outfits in different ways – go see for yourself in our New York Soho Store, San Francisco Grant Avenue Store or our Los Angeles store at The Grove!